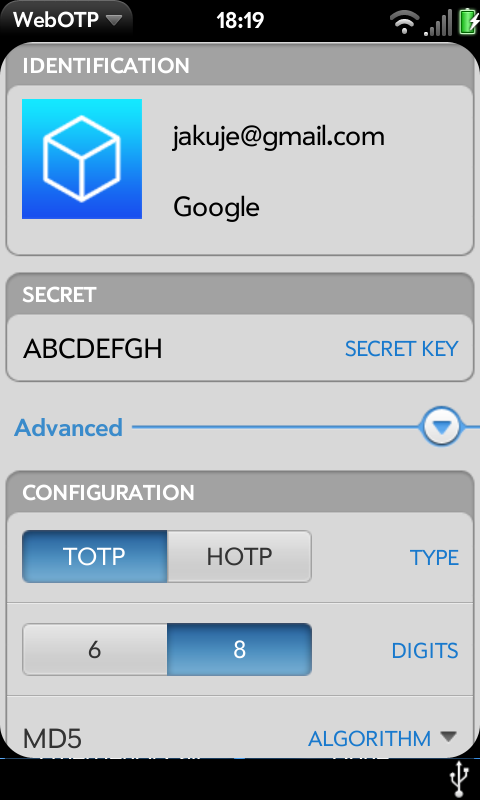 Application is inspired by FreeOTP for Android and iOS, some code is taken directly from RFC 6238, which describes Time-Based One-Time-Passwords algorithms. There is used cryptographic librarly CryptoJS 3.1 , which is available under New BSD License. This application can make your login into various services more safe using two-factor authentication. If you are interested, where you can use it, see . App should work everywhere (tested on Pre 3 and in chromium browser). If not, please report.